The collaboration between Nordea Finance and Businesslike goes almost as far back as the founding of Businesslike in 1992. 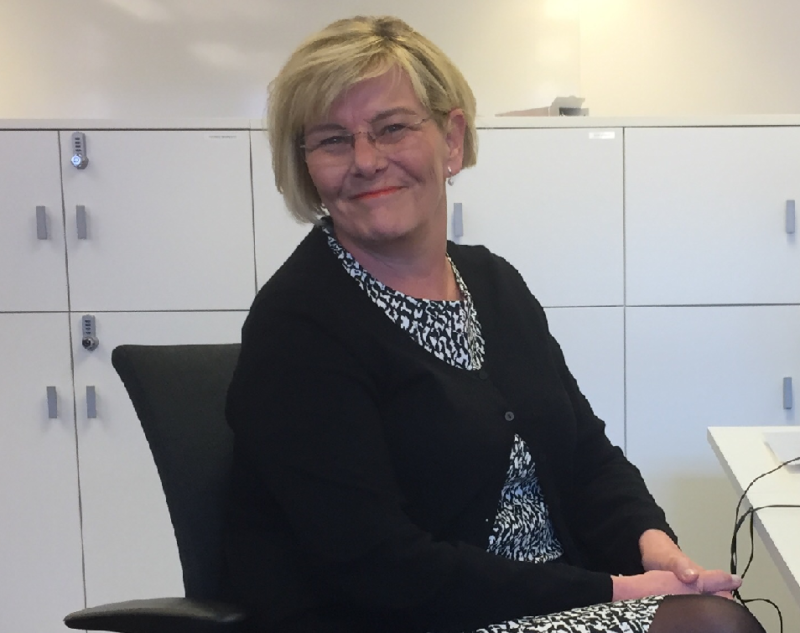 Sirkku Pellikka, a business HR Director at Nordea Finance got in touch with for the first time when the financing company was in the midst of moving offices from Sörnäinen in East Central Helsinki to Kilo in Espoo. – As the office location changed, the personnel changed in high quantities. We faced a temporary but immediate need to fill those empty positions for fixed-term projects and that is when I personally turned to Businesslike for the first time, Sirkku tells us. – Businesslike has, over the years, proven to be the best possible partner in situations where we have faced an instant demand for personnel for various projects, but been unable to find suitable people within the organisation to fill those positions. Normally, this type of ad hoc need arises when we are conducting several development projects simultaneously, for example, system updates or the like. As a company, we have been able to successfully fill longer and more permanent vacancies ourselves due to our in-house recruitment systems working well, Sirkku tells us. – I expect to receive fast and flexible customer service and to have a good customer experience when dealing with a recruitment partner. Businesslike has filled my wishes and exceeded all my expectations in all projects we have worked on together. When you work with a smaller sized agency, the service you get is often more flexible and agile. I personally appreciate the fact that Businesslike applies the principle of equality and fairness in their recruitment processes, Sirkku emphasises. WHAT MAKES BUSINESSLIKE DIFFERENT FROM OTHER RECRUITMENT AGENCIES? Sirkku Pellikka has, over the years worked together with several agencies offering recruitment services and personnel leasing. That is why she has an excellent feel of how Businesslike actually stands out from the crowd. -Businesslike is different from other recruitment agencies on the market, because their service is fast, flexible and totally focused on the customer experience. The consultants at Businesslike listen to their client, offer flexible, cost-effective, and sometimes even tailored co-operation agreements and they react faster than the customer could ever expect, Sirkku adds gratefully. Sirkku has been delighted to see that the people at Businesslike work with such enthusiasm and complete devotion. -Businesslike is of suitable size and it looks and feels like the people working for it. The people at Businesslike are skilled and they constantly develop themselves, and as a team they work seamlessly together to pull off the projects in a way that creates added value for the customer. When their clients succeed, Businesslike succeed and we have a win-win situation. -I can sincerely say, based on my own experiences that the ladies at Businesslike work with full devotion, and the passion for their work combined with their expertise and enthusiasm is evident throughout the process, Sirkku emphasises. Nordea Finance has offered 50–70 temporary employees summer time employment annually due to the regular staff taking their holiday. In general the in-house HR team has been responsible for the recruitment. However, on one particular occasion Sirkku’s colleague was assigned to other duties within the same organisation, right before the summer recruitment process was about to kick off. That is when Businesslike was given the task to quickly find a competent and suitable HR professional to fill the position for a fixed 3 month period. Sirkku recalls this as one of the most memorable cases with Businesslike. -Businesslike was quick to find suitable candidates to fill the position. I especially appreciated the fact that they applied a principle in equality and didn’t succumb to ageism, but presented us with candidates out of which one was a very competent woman in her 50s who had been unemployed for some time. This candidate had a strong track record of her expertise and work history and was chosen as the best candidate. This has been one of my best experiences of an agency choosing the right person for the right job, so to speak. WHAT QUALITIES IN EMPLOYEES IS NORDEA FINANCE LOOKING FOR? -Nordea Finance appreciates the ability to take control of personal development, to be resilient and to take an active lead. We really like to see our employees share a passion for creating outstanding customer experiences and develop personal skills, as well as daily processes that the team deals with. In this way we like our employees to be active visionaries that bring unique added value to the organisation. I believe that it is the attitude that matters and a supportive work culture is created by each and everyone involved, Sirkku summarises.